Anyway, so for those of you who don't know Mistystar has gone through a lot. Within the first series she learned that her parents weren't who she thought they were, Bluestar revealed to her and her brother Stonefur that she was their mother and Oakheart was their father. They accepted her but it was too late to have any sort of 'normal' relationship with their parents because Oakheart had been dead for a while, and Bluestar died shortly after telling them her secret. So she loses her mother seconds after finding her. When she was a young(ish) warrior and Tigerstar 'took' over RiverClan's camp her and her brother were shoved into an actual hole in the ground because they were half-clan cats. Then she had to watch her brother die in front of her. Even though it may not be shown in the books, more than likely Mistystar faced TONS of pressure from her clan and others for being a half-bred. She would've had to try extra hard to fit in and prove that she was still loyal to RiverClan. And it payed off, she was made deputy. And wow is she a great deputy. She sticks by Leopardstar's side through thick an thin, even in some of Leopardstar's craziest moments. When she becomes sick and delusional, Mistystar (who is then Mistyfoot) steps up and takes charge. And when her time comes to lead, she takes everything in stride. I mean, she learns her own medicine cat doesn't believe in StarClan and still accepts her, heck she could really care less. Now, one thing we've known and never really had elaborated for us is that she was above all things a mother. We were told that her deputy, Reedwhisker, is also her son (which is true). I LOVED their relationship in Mistystar's Omen. The way they talked together and all of their interactions were really amazingly sweet. But that's besides the point. 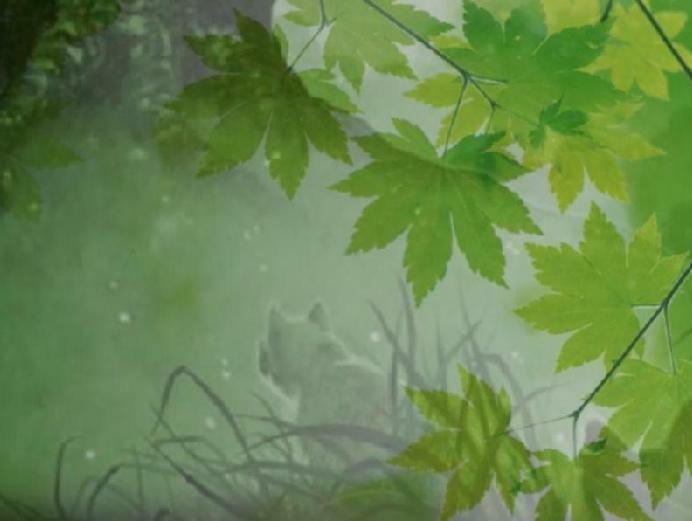 For quite a while it had been hinted at that she didn't have just one kit, many people tried to guess which of the other RiverClan warriors were her kits, but nobody really imagined that the reason we didn't know about her other children is because they were no longer alive. Turns out that's exactly the case. She had three other kits, a daughter named Primrosepaw (a pale cream colored she-cat with white paws), a son named Perchkit (a little black tom) and a genderless kit named Pikepaw (a mottled grey cat, his markings are 'like a fish's'). Perchkit is first introduced when Mistystar receives her nine lives, the little kits runs up totally excited about the fact that he gets to give his mom the life of bravery. Then Pikepaw and Primrosepaw come up and talk to her, they tell her how much they miss her and that she'll be a great leader. Nothing else is said about them (which kinda upset me) but we can assume that Perchkit was one of the kits swept away in the river in Forest of Secrets, and that he may have died shortly after (which would explain why he never became an apprentice) as for the other two, Reedwhisker is still an apprentice at the beginning of the New Prophecy series SO this could mean that due to the shortage of food in the old territory, they could've starved to death. Your guess for how they died is as good as mine. Anyway this is really what got me thinking about her and everything she's gone through, the loss of three of her kits above all must have affected her the most (in my mind). I mean, can you imagine having to watch two of your kits die (assuming Perchkit died before she became deputy) and have to go put on a strong face so she can prove she's still able to lead and stay in the deputy position? Like I'm sure she grieved, but I feel like she would've had less time to grieve then other queens might have had. That's just me. Yeah so in conclusion I like Mistystar a lot, she's such a tough cookie and I really just wanted an excuse to talk about her. I wish we knew more about her (and her kits in particular) because she is such. an. amazing. cat !!! Ooh, I've been wanting to read Mistystar's Omen for quite awhile. There's a bunch of special edition books out right now, that I haven't read. And there's the Sun Trail books. I have some catching up to do. Mistystar's always been one of my favorite characters. She's always the friendly one at the Gatherings, and she never seems to lose her temper unless necessary. In the original mini-series, it did say that Mistyfoot was a queen, but it never mentioned her mate or kits at all, so I was wondering about that. Does Mistystar's Omen go through her whole life? Sadly the book doesn't go through her whole life. It starts with the day Leopardstar dies and then it spans over a day or two after she receives her nine lives. It's not very long and not too interesting but if you're a Mistystar fan then it's totally worth it just to get to know a tad bit more about her. I will read the book because Mistystar is in Riverclan. I just loved Crookedstar after I read the book Crookedstars Promise. And I love RiverClan. I like RiverClan better than ThunderClan, but Fireheart will always be the warrior cat I love the most! You say they did not write about when she was a small kit? They should. The books are better when they tell the whole story, not just a part of it. But since I love the Warrior Cats, I will get the book and have it in my collection. Oh wow. Mistystar has suffered a lot, and she's still strong. Man, I really need to get that somehow.